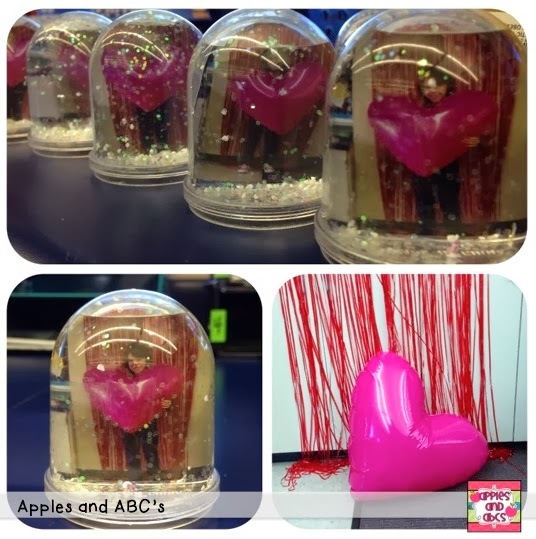 We made THE cutest Valentine's snow globes for our parents! 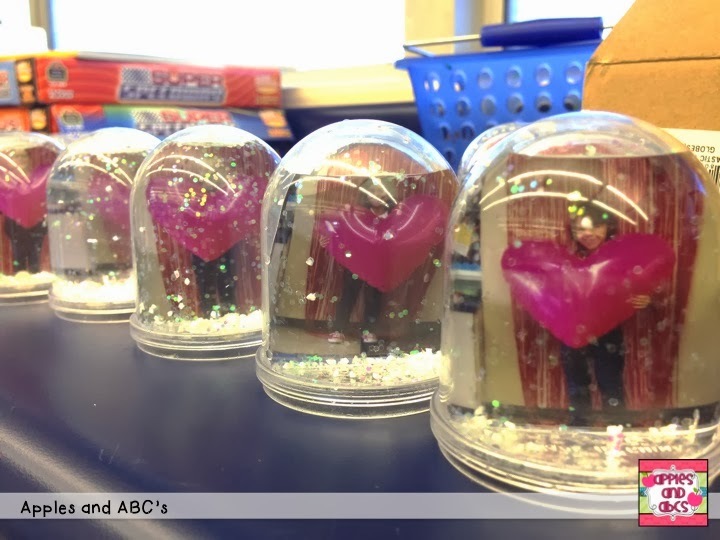 I received these supplies from the Oriental Trading Company, and the students were thrilled to make snow globes for ones they love! 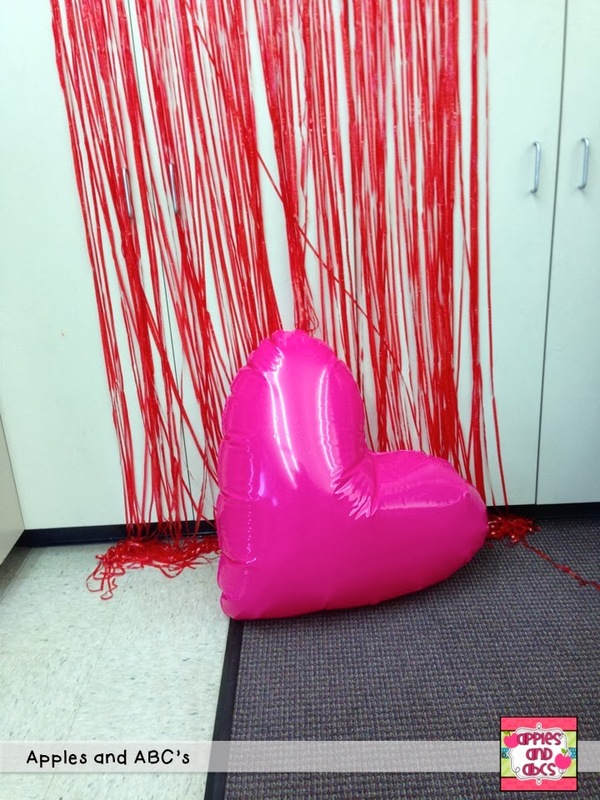 First, I set up a photo booth station for the kids to hold the giant heart and stand in front of the streamers. I had to take two sets of pictures because the first set I was standing too close to the students, and their picture didn't fit in the little snow globes! I had to stand about 15 feet back to make sure they fit in the snow globe. 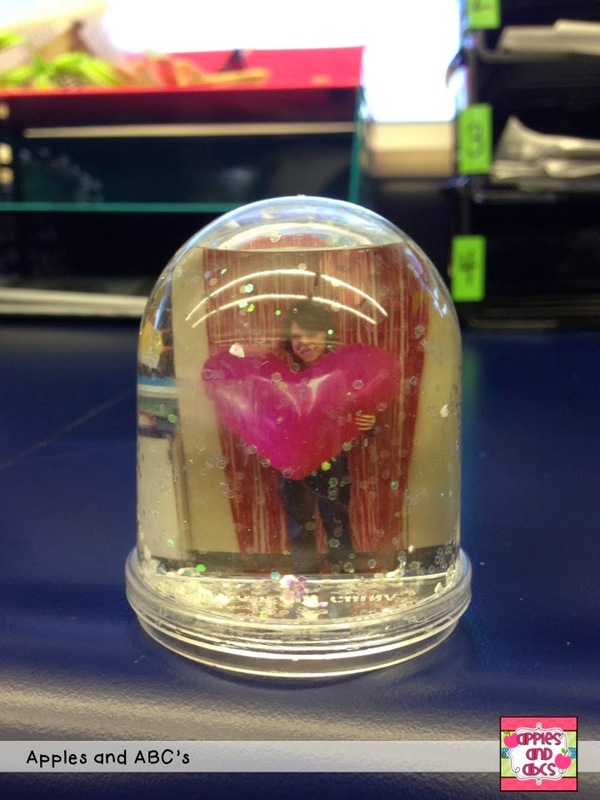 We traced a shape that fit perfectly into the snow globe and then made an outline on our photo. Before we put the pictures in, we filled up the globes with water and let them dry. You can see the snow globes are really small, which means they are easy to package and store! 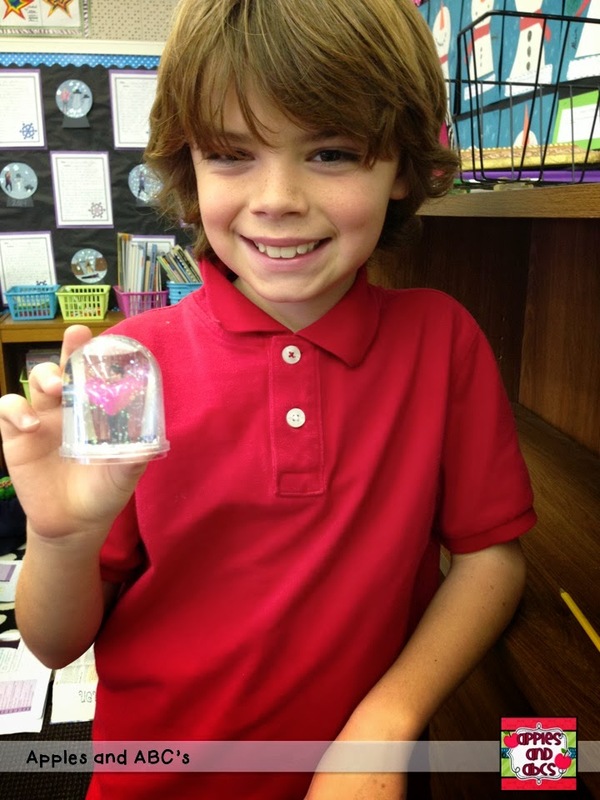 The students were SO excited to take their snow globes home and share them with their families. 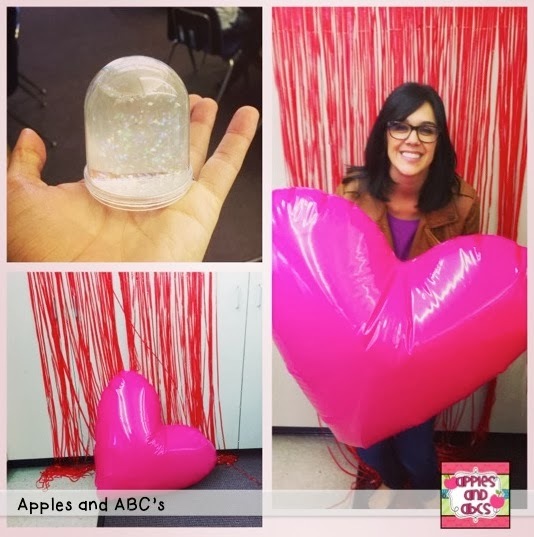 I wish I would have saved this for Mother's Day gift, but maybe that is something you can use this for in your classroom! The items used to create this feature were sent to me free of charge from Oriental Trading Company for review. All ideas and opinions are 100% my own. Saw these on your IG account. I love them! They are just adorable!! It's a great idea and could definitely be adapted to other holidays-which I always love. Thanks for sharing!! Omg obsessed!!! They turned out so cute and your class is adorable!! You are such a good teacher! Absolutely adorable!! What a great keepsake! OBSESSED!!!!!!!!!!!!!!!!! Could you be any more quirky!? Happy Valentine's Day! Did you use any special photo paper or treatment to make them last in water? I would think that the water would ruin normal photos. 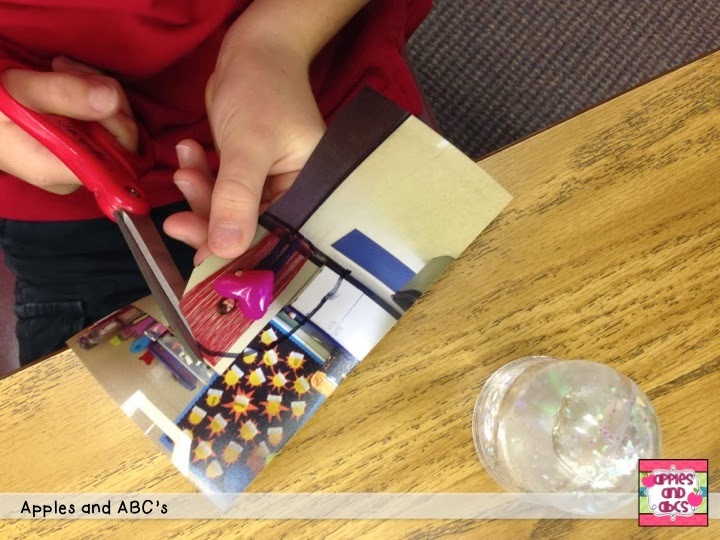 Do you tape the picture to the back of the snow globe?